Tlnnitus is a nagging problem confronting a large number of people.There is no known cure for tinnitus as far as modern medicine is concerned. 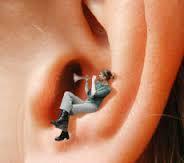 Tinnitus can be managed well with the help of ayurveda. Ayurveda considers tinnitus to be a 'vata 'disorder. We at 'HimVeda' assume a twin approach to treat tinnitus.We prescribe herbal drugs which are'vata' 'shamak' or 'vata' antagonist in nature.At the same time we perform panchkarma procedures mainly 'karnapurna' . Any degree of tinnitus can be conquered easily with this two pronged approach.The cost of the therapy is also very genuine.